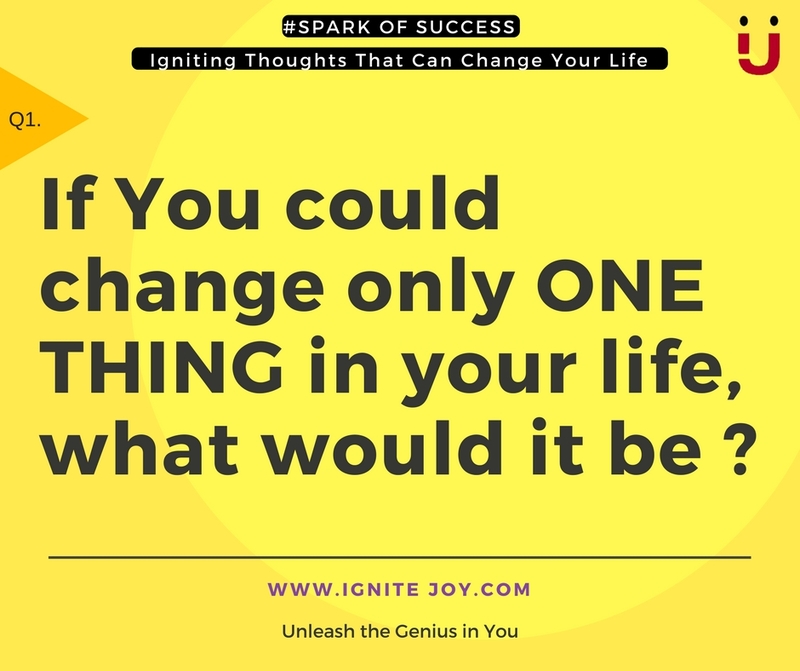 Here at Ignitejoy.com, we have a passion and reputation for creating transformations in your life for greater success and greater happiness. We help you build a life that everyone else just dreams about. Our key tools include Positive change, a new approach, step-by-step approach, and a personalized strategy for success. Each one of our programs is personised to maximize your progress. Coach Akanksha is an International Certified Professional Coach, Globally-read Author, Behavioural Trainer and Motivational Speaker helping clients from all across the world attain their true potential and live a happier life. She works with people, from all around the globe, who are highly ambitious yet somewhat stuck with what they are doing professionally,and they still stay in their hated situation for a long time none the less. And as difficult as this may sound, the main reason for not changing the current situation is that you have somehow just given-in to the circumstances or succumbed to some limiting beliefs around you. But Now all that can change for You. Leadership & Life Coach Akanksha can help you move up your progress bar and figure it all out. Akanksha is an International Peak Performance Coach helping clients all across the globe Discover their passion and tap into their limitless potential. She even curates ways for her clients to find the time and take action to actually live their passion. ⚫ Leadership Coach Akanksha will bring You results, you not only discover your passion, but you also experience the feeling of being able to stand out of the crowd doing exactly what you love & become supercharged about going to work everyday and achieve magnificent results. You discover and learn to leverage your strong points at your interviews, presentations, work place, personal life & everywhere, and really start to live the big life. "Being part of the corporate world is not easy, especially when you find it difficult to attain professional fulfillment through it. I always wanted my work to be purposeful, something I enjoy and look forward to. Work is a big part of your life and there is absolutely no reason that this part should not be happy and fulfilling. But for too many of us, the reality is far from this. I was there and I know. What was shocking was that some people had just given up on their dreams and found a way to justify this for the need of security. But what was truly hopeful was that some other people were still fighting to keep that spark of joy and creativity in them. Drawing inspiration from that spark, I set out on my own trail to discover what made people give up and what it was that could help everyone make their work happier. And I discovered that certain Life-Leadership skills such as more clarity, better time management, negotiation skills and the ability to be assertive, increased accountability was much of what was needed. And they are all the skills that can be developed with the right guidance and the right intent. Today, I coach and train Leaders and Corporate Professionals from all across the world to build these skills that will help them take control of their work and wealth to create greater fulfillment and joy in their own lives. Let's celebrate that spark in you that will always ignite joy!" Like so many people of that time around her, Akanksha was just following the path that was laid out for her by society. She was a bright student, did well in school and college, and even got her Master's degree. She worked in some of the best companies and with varied sets of people from all around the globe. She was working with a big shot firm with a comfortable salary, But deep down inside, she knew something was missing. She just could not find her happiness in doing any of it. Her soul craved for a different journey. Like everyone around her, she struggled and struggled. But She never gave up. Just like any other hard working individual, she kept on working hard with a bunch of unclear dreams and a blurred vision of her goals. But she wasn't ready to give up just yet. And it was her relentless spirit that led to her freedom and success. Today, Coach Akanksha is an International Certified Professional Coach helping clients from all across the world attain their true potential and live a happier life. She is a Certified Life Coach with Certified Coaches Alliance(CCA) and also, has Coach Training Hours with International Coach Federation (ICF), and an MBA in Human Resources. She is also a certified REIKI healer, and an international Author. In her corporate experience across various industries, she realized that a lot of people are living a life that they don't really enjoy. And that cribbing & complaining about stuff was not going to change things for her. Deep down inside she knew she has a different calling. She understood that if she could just believe in herself, she would find the courage to follow her true path. She took the bold step to part with a big MNC to set out on her own, and follow her passion - to help people, around the globe, to lead a happier, more cheerful, more successful life. 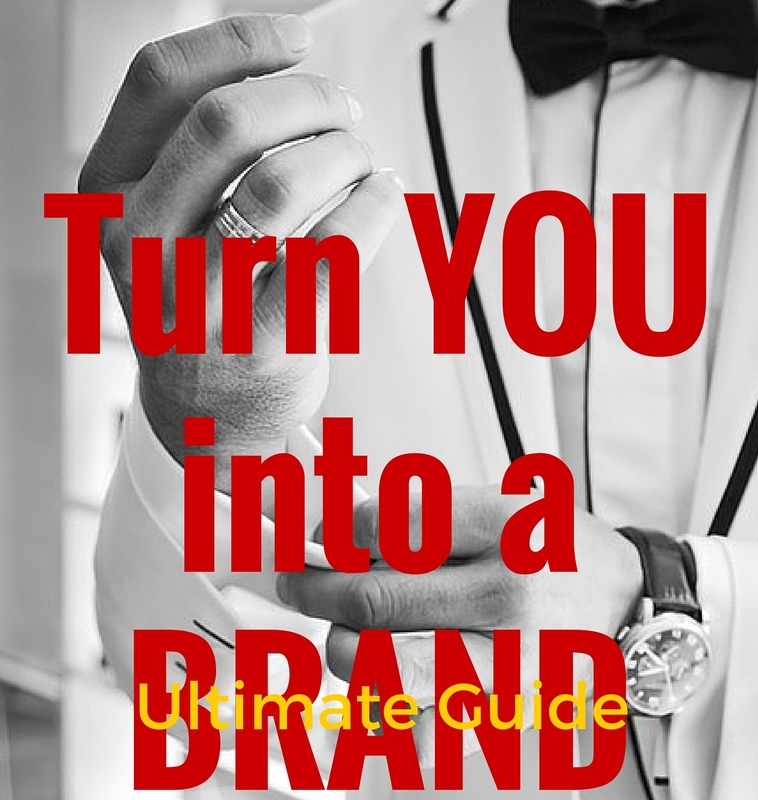 The universe conspired to help her and In her career as a coach, she has transformed the lives of many of her clients and helped them reconnect with what truly matters to them. It takes courage to find & follow your path, and she helps you find that courage & take the necessary action to transform your life. She is grateful for all the opportunities that she has received, and she has made it her mission to help people, who are stuck under the burden of society & corporate expectations, to break the shackles and re-discover themselves to lead a life of happiness and success. No wonder people connect so well with her and her 'mission' of 'Leading a Happier Life' because that is the calling of your soul too. Working with Coach Akanksha helps you experience Peak Performance Coaching to shed your procrastination and create transformations & progressive living. Executive coaching with Akanksha helps you to understand your passion, accelerate your career, and create a work-life balance. Akanksha is an International professional Coach and she built the platform www.ignitejoy.com to help high-performers (like you), find fulfillment in all aspects of their Life. She coaches for end to end progress, from Personality Transformation, Enhancing Confidence, Sharpening Soft Skills, to Career Progression, and overall life skills. She is certified by the Certified Coaches Alliance and has ACSTH with International Coach Federation. She has lived the corporate high-life and had been stuck in that 9-to-5 pattern. And she knows what it takes to reclaim yourself and live your passion. She believes that You, have all that it takes to create a powerful meaningful life. You just haven't found that creative thing that you could pour your heart and soul into. You are yet to discover your 'Natural Path to Abundance'. You are probably waiting for it to come to you from external sources when it is really buried deep down inside you. You haven't yet spent the time to look inwards at what really lights you up and use your inner guidance system. If you did, you wouldn't have trouble getting things done at rapid speed with super ease. Akanksha is a certified life coach possessing the qualities of a great coach, a good listener,a logical interpreter, and a fabulous planner. She helps people find their spark in life. Client Transformations fuel her passion. Success is only measured by the success of the client. She believes that each day brings with it an opportunity to live better and create a positive change! 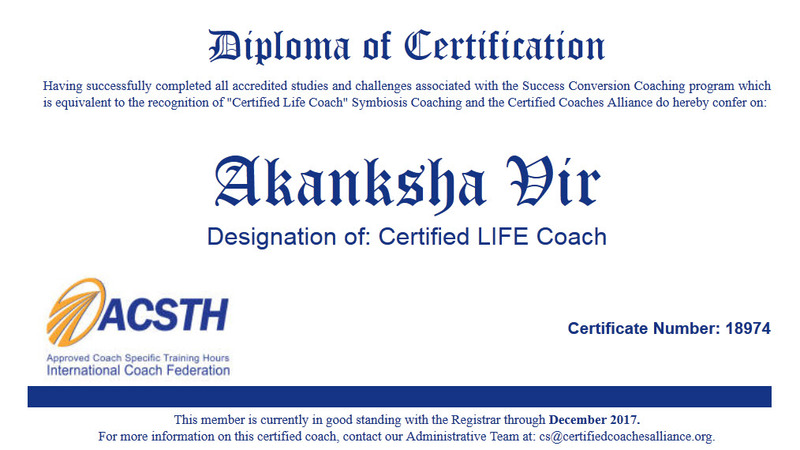 Akanksha coaches professional from all walks of life. She has an expertise in coaching senior professionals and executives to help them discover their Path to Abundance, find their passion, realign and balance work life. And to break away from the monotony of being stuck in an undesirable job. Click to Connect with her now, to find out if this can be a fruitful coaching relationship for you! - A life coach helps you deal with pressure and stress as you make important changes. - Coaching can make you start asking the right questions. You'll look beyond the self-limiting mindset that has been holding you back. - You can maintain motivation to improve your life. The life coach knows how to encourage you. - With a life coach you'll learn to think about what you can do. This is much more powerful than thinking about what you can't do. - Life coaching is a proven way to create a satisfying life. What you really want is inside you. And the coach will teach you how to listen to your heart. A Life Coach expert is a professional who helps you reach a goal or make a change in our life. Absolutely. A Life coach also helps you gain clarity and build smart goals which are in alignment with your desire, so that you can build a more happy and fulfilling life. Thanks for explaining the life coach...Life coach Brisbane and healers help people from all walks of life and each relationship is unique. I would like to thank you for the efforts you have made in writing this article. I am hoping the same best work from you.for information personal life coaching service please visit to the link.